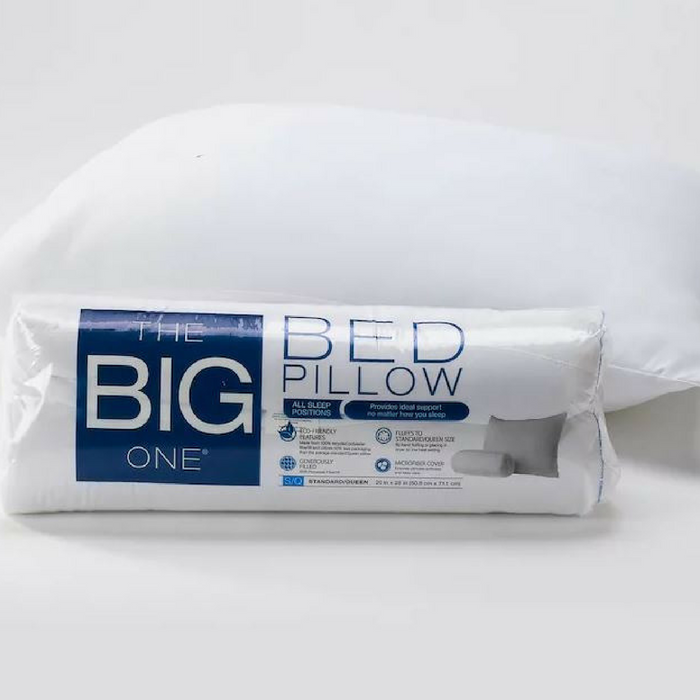 The Big One Microfiber Pillow Just $3.39! Down From $12! You are here: Home / Instagram / The Big One Microfiber Pillow Just $3.39! Down From $12! For a limited time only! Kohls is currently offering The Big One Microfiber Pillow for just $3.39 down from $11.99 when you use promo code SAVEMORE20 at checkout! PLUS, choose FREE store pick up or FREE shipping for orders $75 or more! This The Big One pillow is built for comfort. The ultrasoft support gives you the utmost in comfort.